Directly across the Hudson River from Stony Point is Verplank's Point. 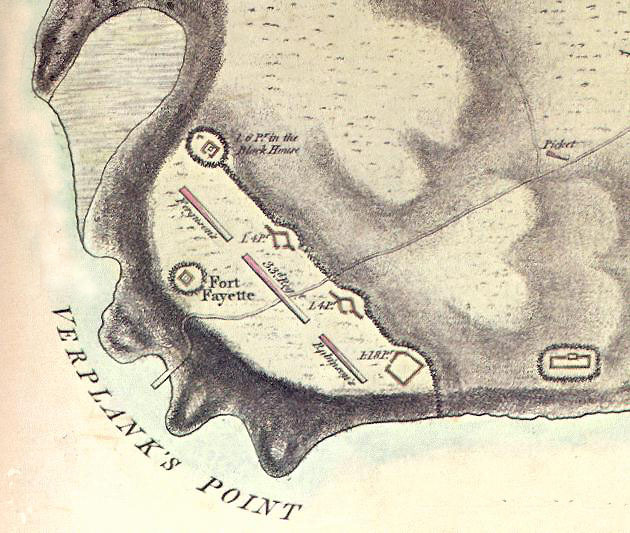 Only 60 (some sources say 69) men of the LAR were actually at Stony Point during the 1779 attack. Most of Robinson's men were posted on the other side of the river at Verplank's Point and escaped capture. The above illustration is a representation of a 1784 British map which was based on the surveys of two British officers who were present. The LOYAL AMERICAN REGIMENT is to the right of the 33rd Regiment, labeled on the map as "Robinson's." Interestingly, Joseph Plumb Martin, the author of the famous journal, Private Yankee Doodle was part of the rebel force that was supposed to attack the British position at Verplank's Point. Instead, they fell back and encamped . . . at Beverley Robinson's farm1 ! 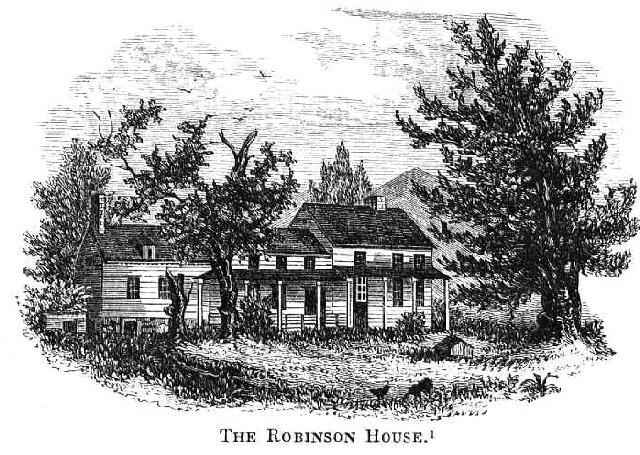 Beverley Robinson's farm, located across the Hudson River from West Point, burned down in 1892. In the 1840's, Benson Lossing made a sketch of the farm in his Pictorial Field-Book of the Revolution. Check out the recreated Loyal American Regiment's visit to the site of Robinson's farm.